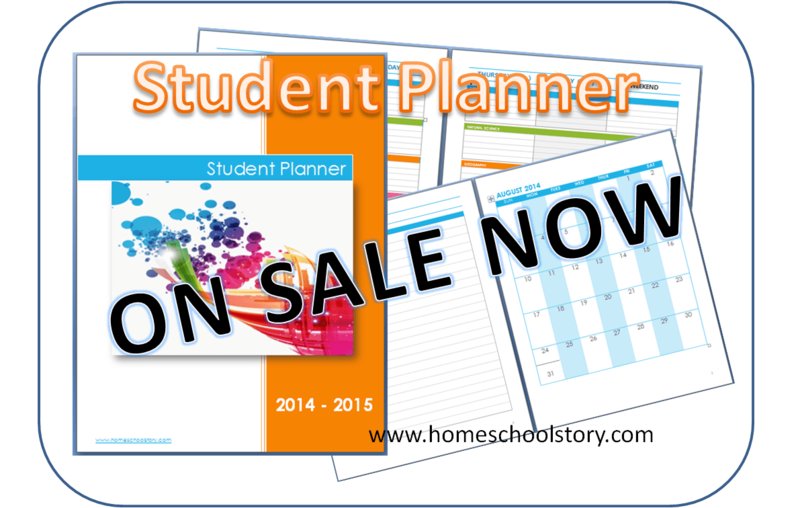 Just In – Early Bird Special – Student Planners!! Don’t miss out on the Early Bird Special for the next 2 weeks! All our student planners have been updated for the 2015-2016 school year and are now available at our store for immediate download! 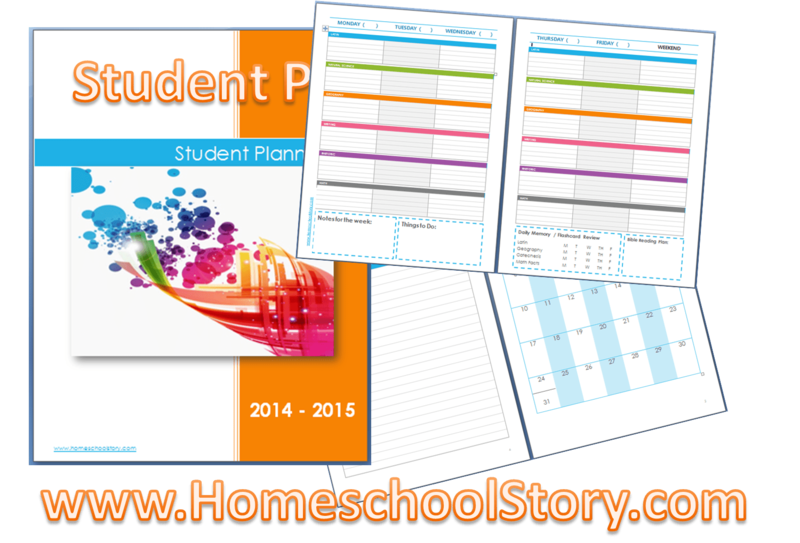 Generic Student Planner – Ready to use for any age or any school. Monthly calendars, 2 page weekly view with space for 6 subjects. Can be used by moms as a lesson planners, or by students. Challenge A Student Planner – Made to use with Classical Conversations Challenge A program, this planner has all the seminars labeled as well as a checklist for daily practice of geography, Latin vocab, rhetoric memory work, and more. Challenge 1 Student Planner – Made to use with Classical Conversations Challenge 1 program, this planner has all the seminars labeled as well as room for extra tasks, and a checklist for daily practice in Logic, Math facts, and Science terms. To purchase click here or go to the Visit Our Store link at the top of the website. Can you make one for Challenge II please!!! I’d love to! I don’t know much about Challenge 2… but I can put the seminar topics in. Along the bottom I usually have a checklist for daily review of memory work…like terms, vocab, etc. Can you tell me what a Challenge 2 student would need to review daily besides Latin vocabulary? I just ordered the Cycle 1 student planner and Chal. A planner but only the Chal. A showed up in my Dropbox. Should I be expecting the foundations planner to show up in a different form? Amber, I’m so sorry I’m just seeing some of these comments…. You should have received them both at the same time. If you still didn’t get this figured out, please email me directly at jaimegravitt@gmail.com and I’ll get it fixed for you! When I follow the link to purchase a planner it says they are $10 each, but on this page it says the regular price is $5, on sale for $3! What am I missing? The coupon is expired. We are running a new one right now till the end of October. explore20 will get you 20% off $20 or more!